1 In a pressure cooker, heat oil and add chopped onion. Sauté until golden brown. 2 Add garlic and spices. Stir well for half a minute. 3 Add the pumpkin, potato, carrots with half the quantity of water and pressure cook. 4 Cool the mixture and blend to a puree. 5 In a saucepan pour the puree, add the remaining water along with Knorr Mixed Veg Soup. 6 Stir continuously until it bubbles. 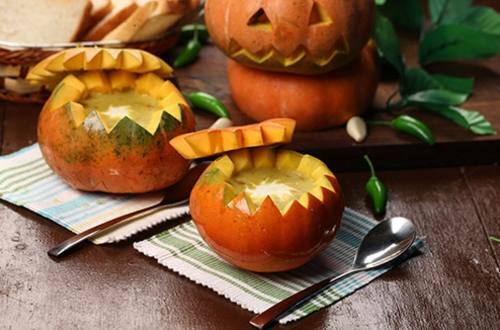 7 Enjoy the heartwarming Pumpkin and Carrot Soup with a dash of spice!